Posted on December 4, 2014 | by TRIP! At a festival recently, I heard a story from a festival attendee discussing how someone in front of them started convulsing. They were shocked and immediately put their hand in the seizing person’s mouth. In their mind, they had seen a few episodes of House and figured that they were helping stop the seizing person from choking on their tongue. The commonly held belief that someone having a seizure can choke on their tongue is absolutely a myth. The person sticking their hand in the mouth of a stranger obviously had good intentions – but they were putting both themselves and the person who was having the seizure at risk of injury and transmission of blood borne illnesses. This post will cover how you should help a person who is having a drug induced seizure and keep them (and you!) safe. Seizures can be triggered by epilepsy, but this post is specifically about drug induced seizures. Seizures are a common side effect after physically withdrawing from long term (or heavy binging) alcohol, ghb, benzo or barbiturate use. Seizures can also occur from most recreational drugs including: alcohol, ghb, heroin, cocaine, ecstasy, amphetamine, antidepressants, and prescription medications (even certain anti-allergy drugs and antibiotics are known to trigger seizures). They are more likely to happen when a person mixes multiple substances together, or after someone hasn’t slept in a few days and has been up partying. It’s also common for someone to have a seizure while overdosing. FUN FACT: we all have our own personal “seizure threshold” meaning given the right conditions, it could happen to literally anyone. Along with drugs there are a few other things that can lower someones seizure threshold some of those are: not eating properly, overheating, exhaustion, sleep deprivation, an infection, flashing lights, a head injury and low blood sugar. Make sure you eat a full meal before you start. Stay hydrated throughout the night; alternate water with sports drinks to replenish your body’s electrolytes and sugar. Take rests from dancing to cool off and prevent exhaustion. know your body’s limit when it comes to drugs… don’t over do it. Seizures are triggered by altered electrical activity in the brain caused by complex chemical changes in nerve cells. Brain cells can become too excited or just stop communicating with other cells. Usually there is a balance of brain cells that excite and stop messages – when this balance gets out of whack and there is too much or too little activity, this chemical change can cause a surge of electrical activity, triggering a seizure. Seizures can look really scary or be so subtle they can be hard to identify. Often when folks think of seizures they imagine a very specific kind called a grand mal seizure. 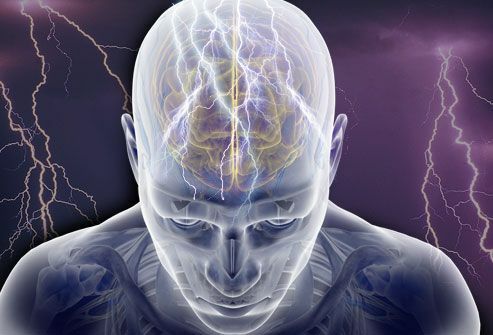 Although that kind of seizure is marked by sudden loss of consciousness and violent convulsions, there are more than twenty different types of seizures! Someone having a petit mal seizure might remain conscious and just have intense twitching or be very inattentive or zoned out for a few minutes. Stay calm. You can’t help them if you’re wigged out. If you’re at a party, you can designate someone near you to go get help. Move everything out of the person’s way. Are they by a table with glasses on them? Are there glass pipes lying around? Chairs? Move away everything the person might come into contact with and clear a space. Encourage people to stand back and give the person lots of room. Make sure that you are not in the way of being kicked or injured by the seizing person. Put something under the person’s head so that it’s not hitting the ground. You could use a coat, your sweater, your folded fluffies, whatever you have. If you can, time the length of the seizure. This is helpful information for the paramedics to have. Put the person in the recovery position after the seizure has stopped and wait for help to arrive. Stay there and wait it out. Don’t leave the person and check in with them after. Don’t hold their head or limbs this can lead to injuries to either you or them. Remember: it’s a myth that someone can choke on their own tongue. Don’t ever try to put anything in a seizing person’s mouth (like a wallet or water and definitely not your hands!). Anything you put in their mouths can be a choking hazard. Following up with a doctor is always a good idea, just to rule out things other than substance use, like tumours or viruses. Some folks can be prone to having drug induced seizures and know the specific substances that could set them off. Be sure to tell your friends if you have a history of seizures before you start partying and what they can do if it happens. In many cases, a properly handled seizure is not life threatening and just another risk to be aware of when you’re partying hard.